How would you explain cold pressing, for readers who might not be familiar with it? The important word is -slow-. The slow process keeps its cold, and as always good things take time. There’s never a quick fix and when it comes to juicing the only way to keep it truly raw and as nourishing as possible is to slow press it, and then, press it again. Our juices come out with a full bodied, richer texture than ordinary centrifugal juiced products and as a result we manage to keep the live DNA, the good stuff, in each of the ingredients intact. What’s your view on the current sugar debate – do you think it should be avoided? How much sugar is in koldpressJUICEko juices? We can achieve so much by utilising nature in its raw state and there are so many fruits, vegetables and plants out there with low GI unrefined sugars, why add anything else. All of our juices are completely different nevertheless we tend to be a lot less sweet (in a good way) than other juices out there. I personally prefer a kick from a bit of spice so you’ll find us playing around a lot more with peppers, chilis and roots to keep you awake and wanting more! You mentioned you use organic produce, are all the ingredients organic and why? Organic is a very loosely used word which I am sure we can debate forever. We take this discussion very seriously and I personally refuse to endorse a product as organic if its truly not. We work hard every day to achieve our goal of being 100% organic, which a lot of our Juices now are, and when that day comes we will put it proudly on our label. I prefer the word integrity and we pay a lot of attention to using quality produce which we understand well. Where do you source your organic produce from? We work with a number of suppliers both locally in the UAE as well as abroad. The agricultural farming sector locally is very interesting and evolving every day. You can imagine the challenges it faces with such an aggressive climate, but you would be surprised on quality of what is being achieved. It’s a very seasonal supply market here so we are constantly working to find the right produce. A small little hint… we are working on a small farming project here which we are excited about. What kind of benefits can people see from drinking koldpressJUICEko and are they best for a cleanse or as part of a normal diet? The benefits will vary from person to person but typically a well thought out diet that includes Juice will assist you to feel lighter, digested, full of energy, increased metabolism and then certainly the effects of smoother skin, healthier hair and nails and generally a more balanced body. At the end of the day we are working with raw food. There are no hidden secrets…We need our greens reds yellows oranges and their vitamins, proteins, fibres, enzymes. Juicing, particularly when it comes to vegetables allows you to digest what typically you wouldn’t be able to by eating. So to answer your question, a balanced regular juice rich diet is what we advocate. What do you see as the biggest challenges facing the health food industry? The food and beverage space is becoming oversubscribed. Everyone wants in and in quick which is making it ultimately extremely competitive. The downside is there are a lot of quick fixes and a lot of poor choice. The upside I feel is that for the companies that work hard at delivering quality and understanding their clients the industry can be rewarding and long term. 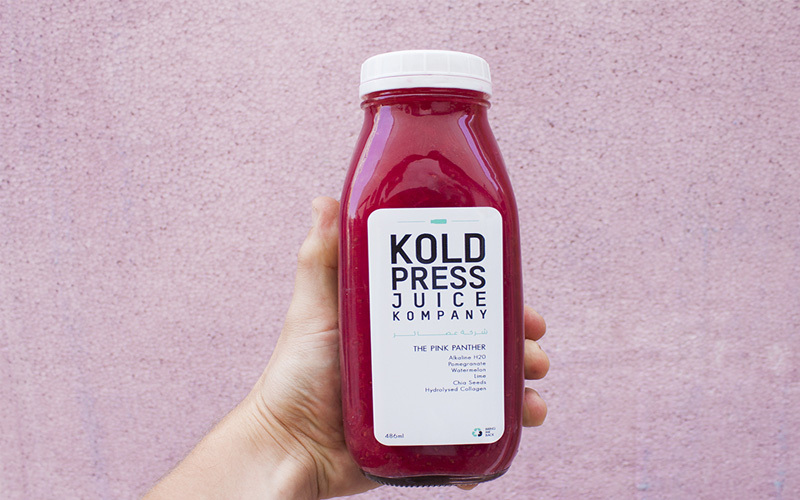 Which is your favourite koldpress juice and why? Mine is ‘Here Comes The Sun’ (with sweet potato, oranges, turmeric root, red chili, coconut oil, goji berries). It’s just such a smooth and substantial juice. The turmeric and red chili make a strong combination (metabolism) which light up the juice. The sweet potato and the coco oil give it a smooth texture and the goji berries finish it off. It’s low Gi from the orange and sweet potato so it’s decent before a work out or a surf, it’s got the protein from the goji and the metabolic benefits of the coco oil, turmeric and chili. Sunshine in a glass bottle…I love it! Do you have different juice plans depending on what results people are looking for (eg muscle gain, weight loss, cleanse)? Our tagline is WE ARE YOUR JUICERY because at the end of the day it’s about our you, about listening to your needs, your bodies and giving you what you need.No two people are the same. Our genetic make-up, our hormones, personalities, daily schedules, and the list is endless. Even if two people approach us with the same goal in mind, it being to lose weight or gain more energy for example, to assist in balancing hormones, fatigue or anything else for that matter, the way these two people might achieve those goals in more than likely totally different and we have to approach it that way. So at KPJK our programmes are completely bespoke. We get to know you before helping you choose a 3 or 5 or 20 day programme. We are just trying to do things a little smarter. What plans do you have with koldpressJUICEko over the next 6 months? We want to become the smartest beverage company in the region so we are working hard behind the scenes. Our product is everything. At the same time we are working on bringing KPJK to the neighbourhood street corner. For more information, head over to KoldpessJUICEko.